My father is a very active person. He has unlimited amounts of energy – never sitting still, always smiling and tinkering with one thing or another and finding new ways to provide for his family. Can you imagine then the shock he felt when a car accident left him with left shoulder looking like cabbage, his left arm broken and doctors uncertain about him ever fully regaining the control of his hand, with its former motor range being dismissed on the spot? Never to be discouraged, in an effort to prove everyone wrong and despite blinding pain he must have felt, he swam for two hours every day, for twelve months, after his cast was removed. And truly, as he tells his story and I sit next to him in wide-eyed wonder only a child can feel, I can see that his hand is in almost perfect condition, with its motor range only slightly limited by his injury. Most importantly, I receive his message and carry it with me till this day: “Anything can be achieved with hard work and persistence”. We humans, as social beings, have always been attracted to stories; whichever form we encountered them in. In their earliest forms, stories used to be chronicled on cave walls and shared around the light of the fire. Then, people used stories to help them deal with uncertainties and their continuous battle for survival. In a way, that practice lives on every time we try to find a safe haven or laughter in a good book or movie. With stories, our ancestors’ wisdom survived many generations, as they represent our link to ancient traditions, myths and symbols. They help us understand and embrace even the most abstract of concepts. But most importantly, they speak directly to our hearts and make it cry or sing. It is truly a wonder how the same information, conveyed by using a bullet point can have a totally different impact on its receivers that if it were conveyed as a story. Or none at all. This fact leaves many professionals flabbergasted. How their carefully put together reports and presentations don’t have the desired effect? After all, isn’t the answer in the objectiveness of hard facts that cut through the fog of speculations and assumptions? Yes and no, depending on the audience and the impact you want to make. Cold facts might speak to our brain, but stories add something powerful to our message – emotion. Research has shown that if we were, for example, listening to fact and figures about World’s Bank fight against poverty, our auditory cortex would be activated, since we are listening, as well as Wernicke’s area of brain where words are processed. If we were reading about the same topic, our visual cortex would be activated as well as Wernicke’s area again. On the other hand, if we listened to a story of a single mother struggling to find work to provide for two small children, we would react differently. Besides activating our auditory cortex and Wernicke’s area other parts of our brain would be activated. If we listened about the smell of the pine forest near their family home our sensory areas would activate, like we actually smell the forest. If we heard the description of the youngest child kicking the makeshift ball made out of sewn old fabric, our motor cortex would show activity, as well as regions of the brain that are in charge of empathy. This means that we are using more of our brains when we are listening to stories, instead of absorbing cold data. And because we empathize with the characters, relate to them and feel as part of the story, we assimilate the message and retain it over longer periods of time. 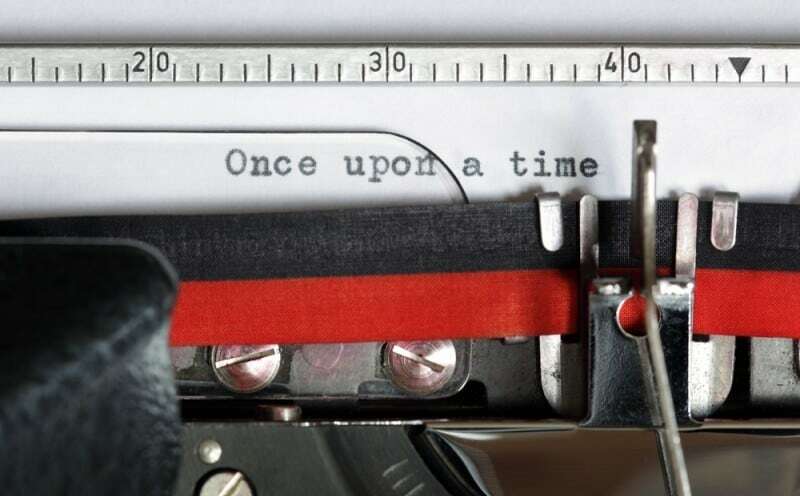 It is no wonder that more and more famous brands are spending enormous amounts of money perfecting their storytelling skills and sharing stories that are connected with their brand values and that will make their audience feel. Let’s take Apple as an example. Instead responding to their competitor’s claims of greatness that focused on the products’ features, Apple chooses a different path. With this emotional story they have sent a message that Apple’s products are more than a collection of different features – they are an integral part of festivities that celebrate family and connectedness. Now tell me this did not make you think. While quantitative analysis certainly has its uses, stories go where data does not – our hearts. Data can convince people to consider your view, but stories are the ones that persuade people to act, and with motivation and enthusiasm to boot. You can probably imagine me recalling my father’s words every time I considered giving up in the face of an obstacle. His story had the desired effect, he thought me the value of hard work and persistence and showed me that I will always have a trusted advisor and avid supporter no matter what. 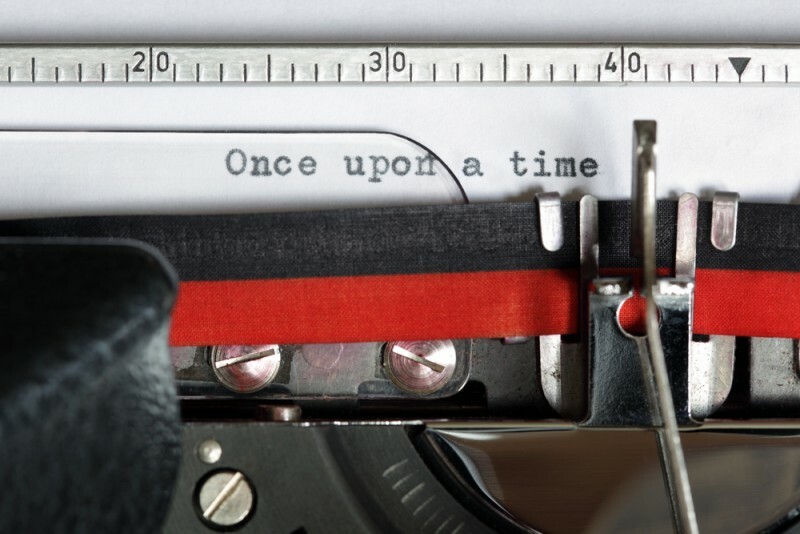 So consider this the next time you want to send a message: make it personal and tell a story!